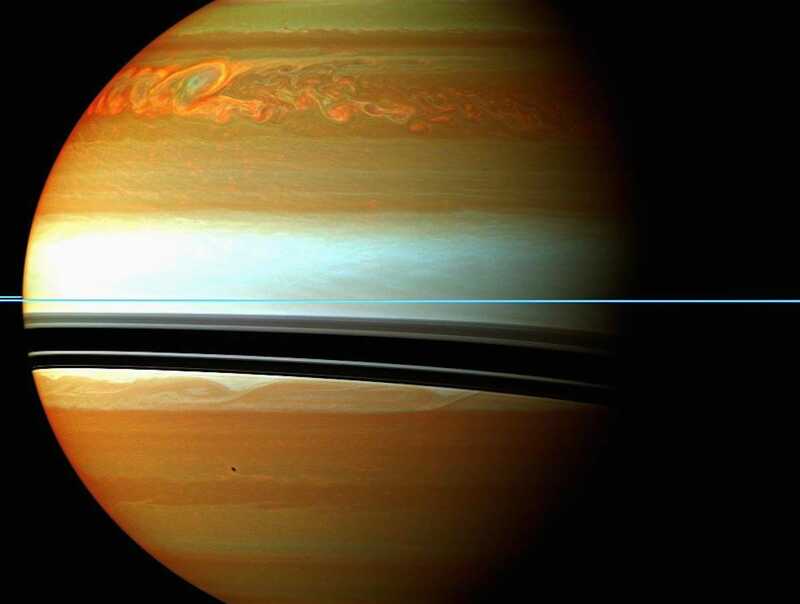 Saturn flaunts the most majestic planetary rings in the solar system, but those are not the only things that make this beautiful gas giant unique. 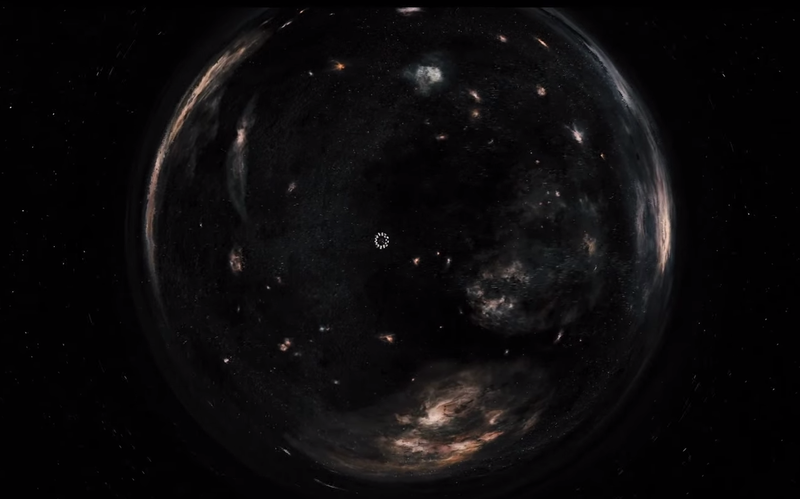 It's also the farthest planet from Earth that we can see with the naked eye. 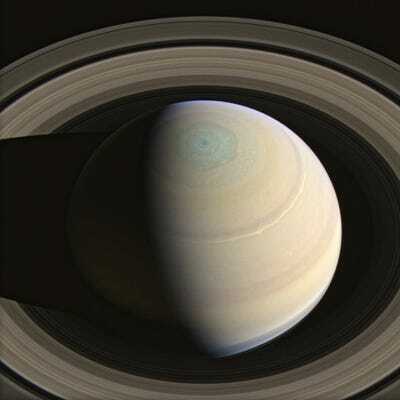 From 746 million miles away, however, we can't observe Saturn like NASA's Cassini spacecraft, which has been orbiting the ringed planet since 2004. While some of Cassini's photos portray Saturn as a tranquil giant floating in space, others reveal the dynamic, stormy nature of its windy atmosphere. Here's a collection of some of the most incredible images Cassini has captured so far. You can learn more about each image by clicking the link provided in each photo's caption in the lower right. The sun is located directly behind Saturn in this image taken from 1.3 million miles away. The light from the sun passes through Saturn's rings, revealing the never-before-seen E ring, which is the faint, outer-most ring below. 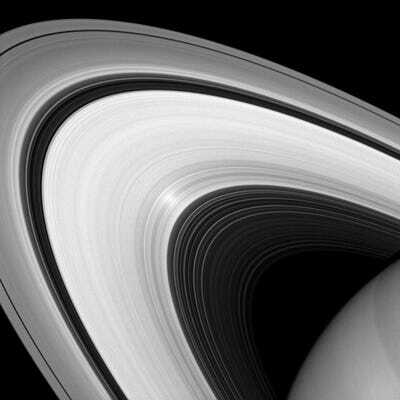 Shown here is a beautifully detailed look at Saturn's four inner rings. The closest to the planet is the D ring, and extending outward from there are the C, B, and A rings. Each ring is separated by a thin, empty gap. This image highlights Saturn's North Pole, which displays a six-sided hurricane that's 60 miles deep and a whopping 1,250 miles across. When Albert Einstein first predicted that light travels the same speed everywhere in our universe, he essentially stamped a speed limit on it: 670,616,629 miles per hour — fast enough to circle the entire Earth eight times every second. But that's not the entire story. In fact, it's just the beginning. Before Einstein, mass — the atoms that make up you, me, and everything we see — and energy were treated as separate entities. But in 1905, Einstein forever changed the way physicists view the universe. 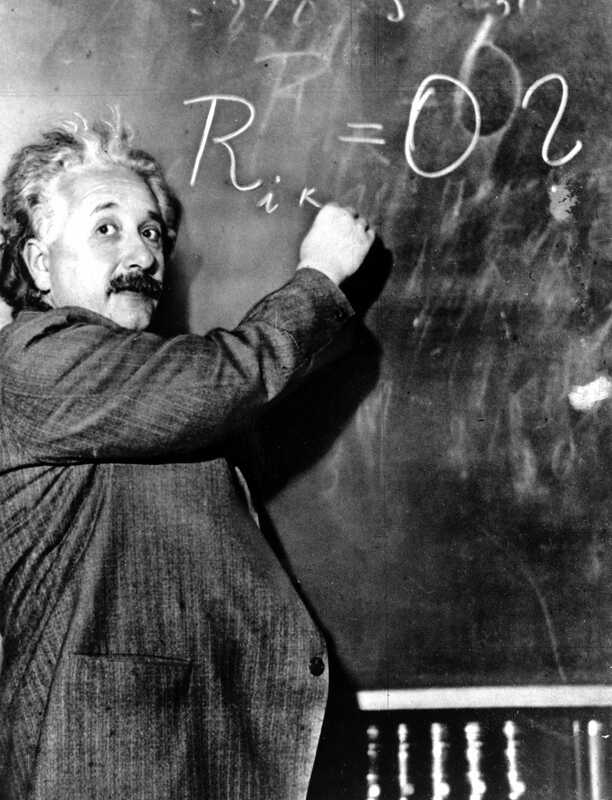 Einstein's Special Theory of Relativity permanently tied mass and energy together in the simple yet fundamental equation E=mc2. This little equation predicts that nothing with mass can move as fast as light, or faster. The closest humankind has ever come to reaching the speed of light is inside of powerful particle accelerators like the Large Hadron Collider and the Tevatron. These colossal machines accelerate subatomic particles to more than 99.99% the speed of light, but as Physics Nobel laureate David Gross explains, these particles will never reach the cosmic speed limit. Since Einstein, physicists have found that certain entities can reach superluminal (that means "faster-than-light") speeds and still follow the cosmic rules laid down by special relativity. While these do not disprove Einstein's theory, they give us insight into the peculiar behavior of light and the quantum realm. When objects travel faster than the speed of sound, they generate a sonic boom. So, in theory, if something travels faster than the speed of light, it should produce something like a "luminal boom." In fact, this light boom happens on a daily basis in facilities around the world — you can see it with your own eyes. It's called Cherenkov radiation, and it shows up as a blue glow inside of nuclear reactors, like in the Advanced Test Reactor at the Idaho National Laboratory in the image to the right. Cherenkov radiation is named for Soviet scientist Pavel Alekseyevich Cherenkov, who first measured it in 1934 and was awarded the Nobel Physics Prize in 1958 for his discovery. 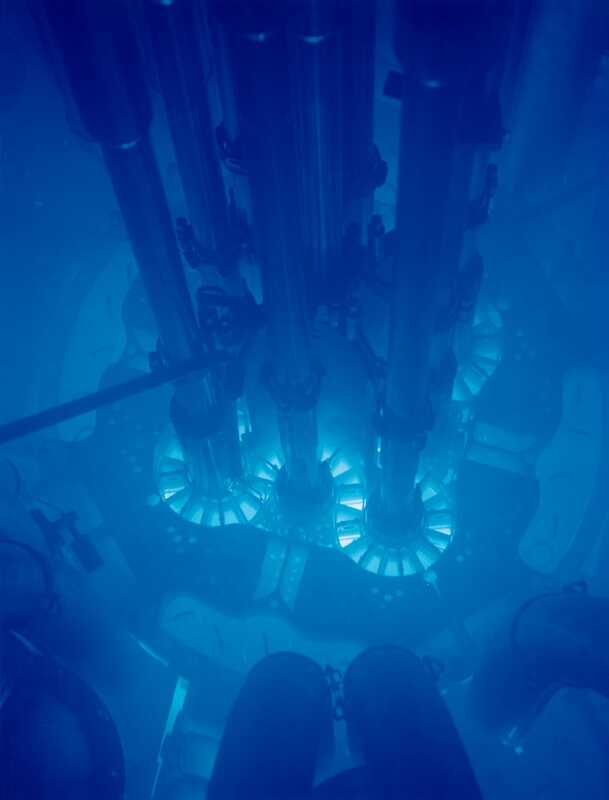 Cherenkov radiation glows because the core of the Advanced Test Reactor is submerged in water to keep it cool. In water, light travels at 75 % the speed it would in the vacuum of outer space, but the electrons created by the reaction inside of the core travel through the water faster than the light does. Particles, like these electrons, that surpass the speed of light in water, or some other medium such as glass, create a shock wave similar to the shock wave from a sonic boom. When a rocket, for example, travels through air, it generates pressure waves in front that move away from it at the speed of sound, and the closer the rocket reaches that sound barrier, the less time the waves have to move out of the object's path. Once it reaches the speed of sound, the waves bunch up creating a shock front that forms a loud sonic boom. Similarly, when electrons travel through water at speeds faster than light speed in water, they generate a shock wave of light that sometimes shines as blue light, but can also shine in ultraviolet. 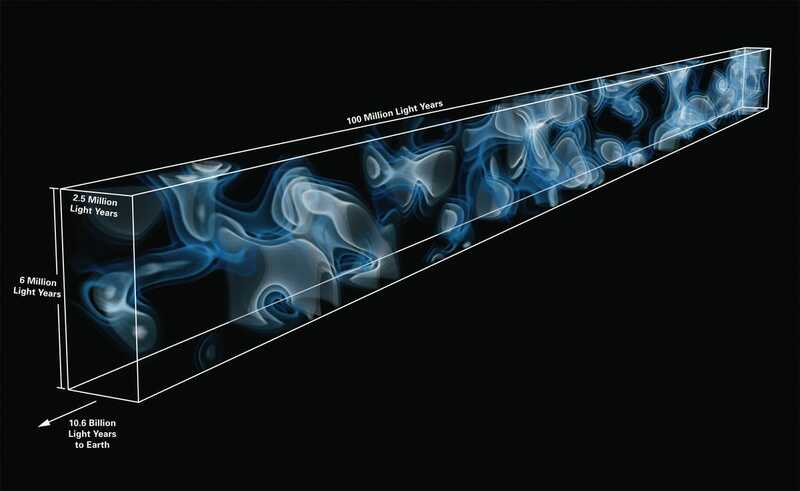 While these particles are traveling faster than light does in water, they're not actually breaking the cosmic speed limit of 670,616,629 miles per hour. Keep in mind that Einstein's Special Theory of Relativity states that nothing with mass can go faster than the speed of light, and as far as physicists can tell, the universe abides by that rule. But what about something without mass? Photons, by their very nature, cannot exceed the speed of light, but particles of light are not the only massless entity in the universe. Empty space contains no material substance and therefore, by definition, has no mass. "Since nothing is just empty space or vacuum, it can expand faster than light speed since no material object is breaking the light barrier," said theoretical astrophysicist Michio Kaku on Big Think. "Therefore, empty space can certainly expand faster than light." This is exactly what physicists think happened immediately after the Big Bang during the epoch called inflation, which was first hypothesized by physicists Alan Guth and Andrei Linde in the 1980s. Within a trillionth of a trillionth of a second, the universe repeatedly doubled in size and as a result, the outer edge of the universe expanded very quickly, much faster than the speed of light. Quantum entanglement sounds complex and intimidating but at a rudimentary level entanglement is just the way subatomic particles communicate with each other. "If I have two electrons close together, they can vibrate in unison, according to the quantum theory," Kaku explains on Big Think. 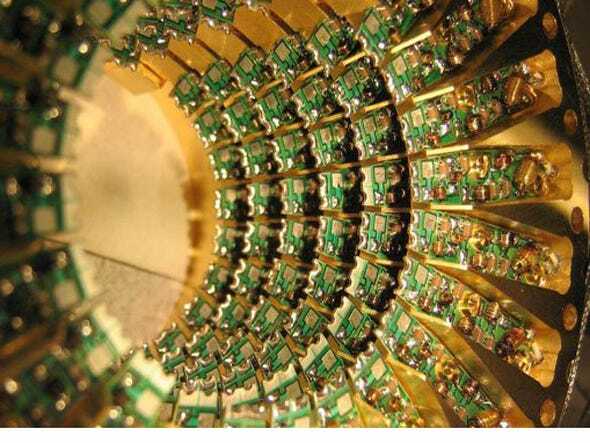 Now, separate those two electrons so that they're hundreds or even thousands of light years apart, and they will keep this instant communication bridge open. "If I jiggle one electron, the other electron 'senses' this vibration instantly, faster than the speed of light. Einstein thought that this therefore disproved the quantum theory, since nothing can go faster than light," Kaku wrote. In fact, in 1935, Einstein, Boris Podolsky and Nathan Rosen, attempted to disprove quantum theory with a thought experiment on what Einstein referred to as "spooky actions at a distance." Ironically, their paper laid the foundation for what today is called the EPR (Einstein-Podolsky-Rosen) paradox, a paradox that describes this instantaneous communication of quantum entanglement — an integral part of some of the world's most cutting-edge technologies, like quantum cryptography. Since nothing with mass can travel faster than light, you can kiss interstellar travel goodbye — at least, in the classical sense of rocketships and flying. Although Einstein trampled over our aspirations of deep-space roadtrips with his Theory of Special Relativity, he gave us a new hope for interstellar travel with his General Theory of Relativity in 1915. While Special Relativity wed mass and energy, General Relativity wove space and time together. "The only viable way of breaking the light barrier may be through General Relativity and the warping of space time," Kaku writes. This warping is what we colloquially call a "wormhole," which theoretically would let something travel vast distances instantaneously, essentially enabling us to break the cosmic speed limit by traveling great distances in a very short amount of time. In 1988, theoretical physicist Kip Thorne — the science consultant and executive producer for the recent film "Interstellar" — used Einstein's equations of General Relativity to predict the possibility of wormholes that would forever be open for space travel. But in order to be traversable, these wormholes need some strange, exotic matter holding them open. "Now it is an amazing fact that exotic matter can exist, thanks to weirdnesses in the laws of quantum physics," Thorne writes in his book "The Science of Interstellar." And this exotic matter has even been made in laboratories here on Earth, but in very tiny amounts. When Thorne proposed his theory of stable wormholes in 1988 he called upon the physics community to help him determine if enough exotic matter could exist in the universe to support the possibility of a wormhole. "This triggered a lot of research by a lot of physicists; but today, nearly thirty years later, the answer is still unknown." Thorne writes. At the moment, it's not looking good, "But we are still far from a final answer," he concludes.